Welcome to Statewide Title.com, a secure and free service that allows Real Property Attorneys to submit Preliminary Title Opinions and related documents as simply as filling out a preliminary title opinion. You then can easily control how and where your title insurance products are sent and conveniently pull up all of your existing files. Create, edit, and submit opinions and receive completed commitments and policies online. Upload and attach exhibits and other documents to your orders. Comprehensively track your orders including direct access to who is working on your file. Upload and Download in SoftPro (pfd) format. Search your 20 year history of Statewide Title orders. Send requests for changes, endorsements and file documentation. 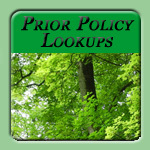 Check for back title/prior policies. Browse and download from our comprehensive collection of forms. 256 bit SSL security so you know your information is safe. Call (800) 821-5414 to get started. The drafting of legal instruments, such as a deed or deed of trust, which convey an interest in real property is the practice of law in North Carolina (N.C.G.S. Section 84-2.1). Statewide Title, Inc. personnel do not draft such legal instruments, have not and will not aid and abet the unauthorized practice of law.